Charlotte is the welcoming face for visitors to the Oasis Centre and on most days will be the voice you first hear when you call. She brings warmth and enthusiasm, and a commitment to helping those who contact Oasis to have the best possible experience of our learning and development environment. 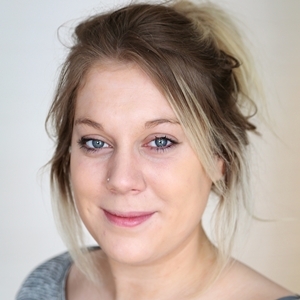 Charlotte joined Oasis in 2013 as Centre Administrator and since then has extended her role to included programme and event coordination, procurement and IT administration. As well as establishing more efficient and effective administrative systems she was a key player in ensuring the smooth running of our facilities during significant refurbishment and building alterations in 2016. Charlotte studied Art, Photography and Psychology before working in the hospitality industry. Charlotte continues her keen interest in design and IT and has been able to apply these skills in both helping to establish small start-up initiatives and her work at Oasis. Prior to joining Oasis her work as an administrator in Environmental Hygiene provided a good grounding in organisation, administration and small team dynamics. Charlotte has a little girl called Lily. She is pleased to live in the village and able to walk to work.